The company Monte Carlo International Sports, led by the Monegasque entrepreneur Fabrice Pastor, has just presented a new professional padel tennis circuit in Madrid. Many of the best players in the world attended the launch of the project that it can come true from next year. With the aim of expanding the padel tennis around the world and free it from binding, the company based in Monaco has launched an ambitious project as an alternative to the current circuit that is being played mostly in Spain. The proposal presented to the professionals of this sport and to the main brands of the sector, aims to bring the padel to 11 countries the first year under a similar system to the one applied with such success in other sports. The promoters of all the continents acquire one of the stages of the calendar and guarantee the realization of the tournament on the same date every year. Contrary the current model, which is under the umbrella of a single company, the circuit launched by the entrepreneur Fabrice Pastor has the endorsement of the Padel Tennis Federations and Associations of each country where it is developed, as demonstrated by the presence of the president of the Spanish Federation of Padel Tennis, Alfredo Garbisu. The World Padel Tennis Tour would begin in Argentina and Brazil in February 2019, to complete a calendar that will have up to 22 tournaments and a Final Master that will take place in Madrid. In addition to Argentina and Brazil, the circuit will arrive in Paraguay, Mexico, United States, Portugal, Italy, France, Sweden, Belgium and Spain, with advanced negotiations to bring the professional Padel Tennis to the Asian continent for the first time. In addition to the greater visibility of the padel tennis and its protagonists, the company stipulates an improvement in the prizes of more than 25% and creates a new form, the Grand Slam, in addition to the already existing Challenger, Open and Master. In addition, the circuit has a luxury ambassador as observed today in social networks. Under the #MontecarloIAmIn hastag the France coach, Didier Deschamps, showed his World Champion title in a padel tennis court, demonstrating once again his great passion for this sport. Beyond the notorious economic increase, the project aims at the sportive side as well, to break barriers, to liberalize it, to add new agents, investors, promoters and sponsoring companies. In this short period of time, Monte Carlo International Sports has amply demonstrated its work for the development of padel tennis, with actions in frank growth as the circuit Fabrice Pastor Cup that next year will reach a minimum of 8 countries, looking for new stars of this sport. 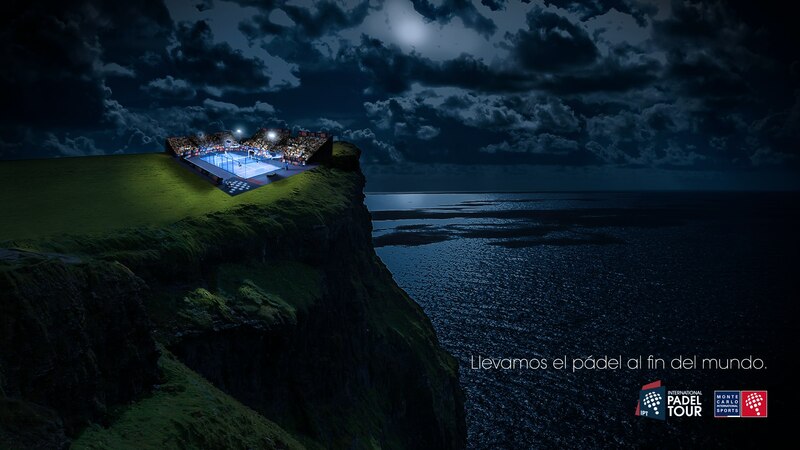 The great impact achieved in a short time, the interest of many internationally prestigious brands and mainly institutional support, have been key to launch International Padel Tour with force. It will be a new tool for players, a new window to the world for the youngest, a recognition of their work and professionalization effort. The International Padel Tour circuit offers a calendar starting in February 2019 that will have at least 16 tournaments and a Final Master, with the aim of reaching 22 events plus 6 Challenger. In addition to the existing modalities, the Grand Slam has been added, which will distribute 150 thousand euros in prizes. Monte Carlo International Sports has already remitted the pre-contract to the players, who will now have to decide their future, always respecting the correct legal paths so as not to incur faults towards the agreements previously assumed. The Monegasque entrepreneur, Fabrice Pastor, was satisfied with the welcome and proud of the work done by his team to bring a new alternative in the hands of the professionals, the possibility of opening markets and achieving greater visibility of the padel tennis around the world. 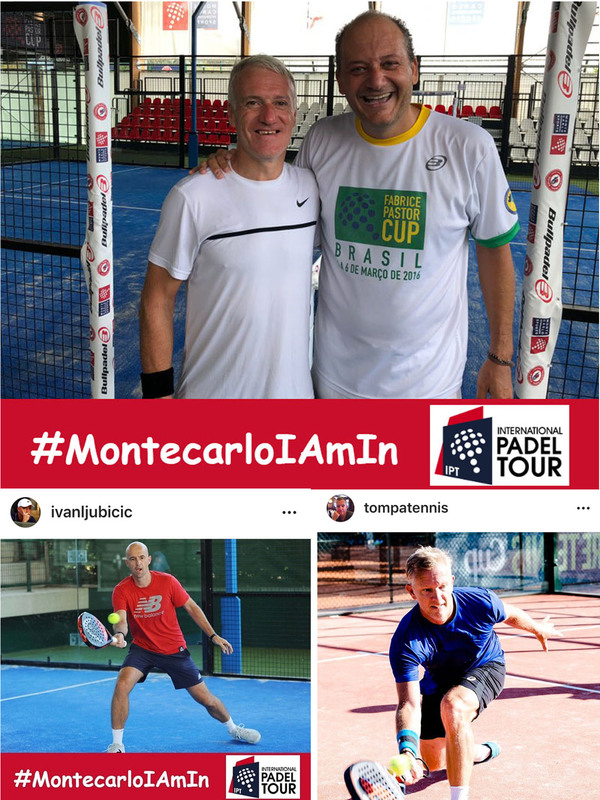 Renowned figures of the world sport have shown their support for this initiative in social networks with the #MontecarloIAmIn hastag, such as the French coach of the World Champion in Russia, Didier Deschamps, and former professional tennis players Ivan Ljubicic and Thomas Johansson.